Start off your visit on the 7th (Wed): see the interesting displays at Museo Histotico de Culebra and then kick back and relax at Flamenco Beach. Get ready for a full day of sightseeing on the 8th (Thu): enjoy the sand and surf at Playa Punta Soldado Beach, kick back and relax at Zoni Beach, and then kick back and relax at Tamarindo Beach. To find other places to visit, reviews, and other tourist information, use the Culebra sightseeing planner. San Juan to Culebra is an approximately half hour flight. You can also do a combination of taxi and flight. Expect a daytime high around 88°F in June, and nighttime lows around 79°F. Finish up your sightseeing early on the 8th (Thu) so you can catch the flight to San Juan. 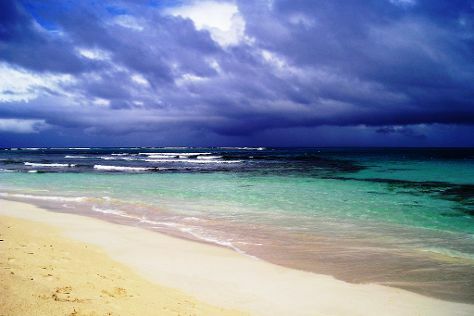 You'll get in some beach time at Luquillo Beach and Condado Beach. Kids will appreciate attractions like Pine Grove Beach and Ocean Park Beach. Explore San Juan's surroundings by going to The El Yunque Rain Forest (in El Yunque National Forest) and Scuba & Snorkeling (in Fajardo). Next up on the itinerary: get to know the fascinating history of San Juan National Historic Site, explore the world behind art at Museo De Arte De Puerto Rico, stop by Puerto Rican Art & Crafts, and ponder the world of politics at The Capitol of Puerto Rico. To find photos, maps, traveler tips, and other tourist information, refer to the San Juan itinerary builder. San Juan is just a short distance from Culebra. June in San Juan sees daily highs of 90°F and lows of 78°F at night. Cap off your sightseeing on the 15th (Thu) early enough to travel back home.